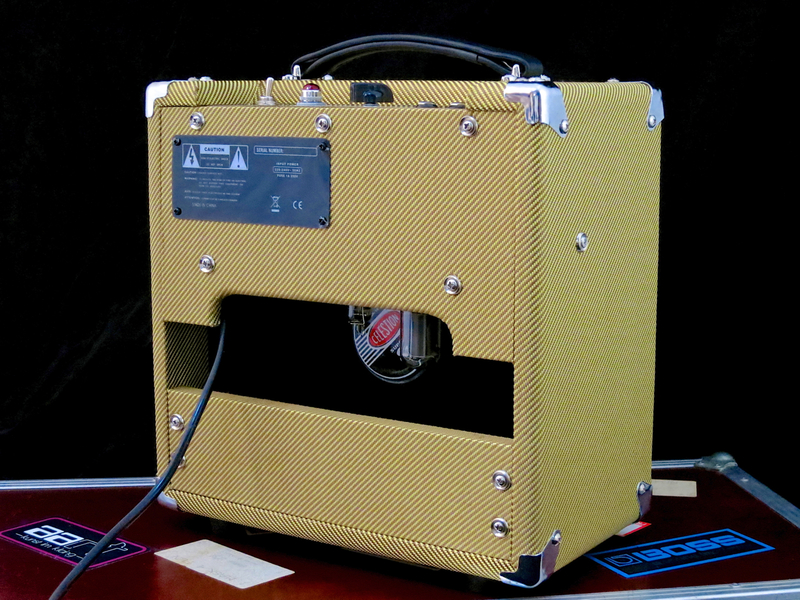 You could either buy an expensive boutique/custom shop amplifier, or – if you’re handy with a soldering iron – opt for a DIY amp kit. 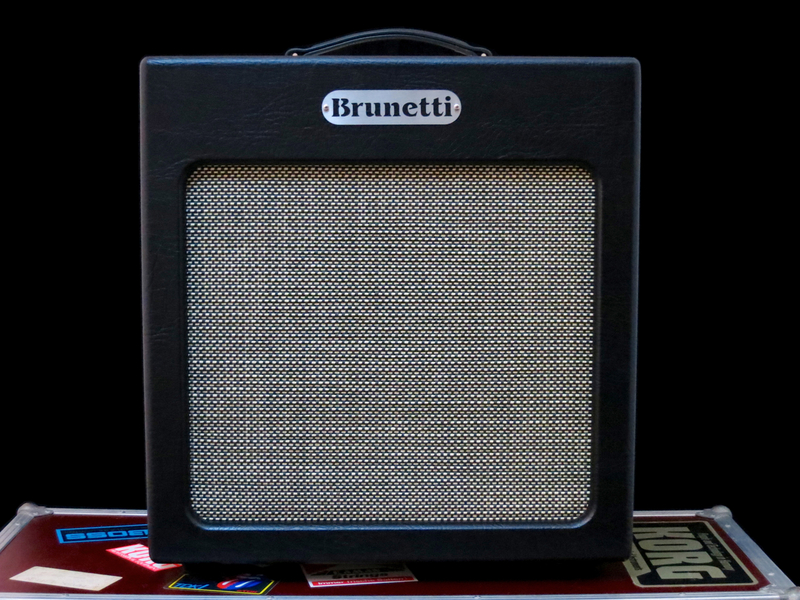 British company Juketone offers a range of tasty Fender tweed inspired, hand-wired guitar amplifiers at very moderate prices, thanks to Chinese production and selling direct via the Internet. The Juketone True Blood (250 £; introductory offer for a limited time only) is the company’s smallest combo. 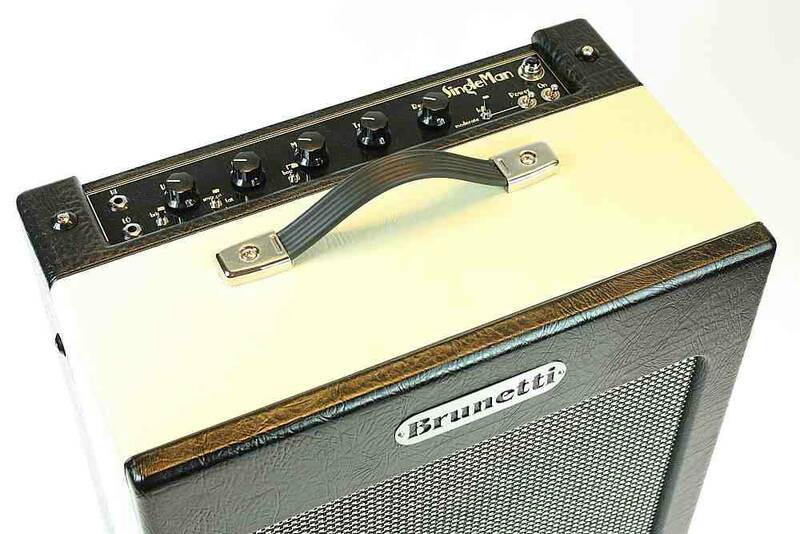 The True Blood is based on Fender’s legendary 1950s Tweed Champ (specifically the 5F1 version), with a few small tweaks. Tweed Champs have been built with several differently shaped cabinets over the Fifties, depending on their exact vintage. The True Blood comes in the all-straight cabinet seen on most mid-Fifties originals, while Fender’s current Custom Shop version features the later angled front. The tweed covering on our review sample was very neat and crisp. The combo’s cabinet is made of plywood, except for the back covers, which looked (and felt) like MDF-board. 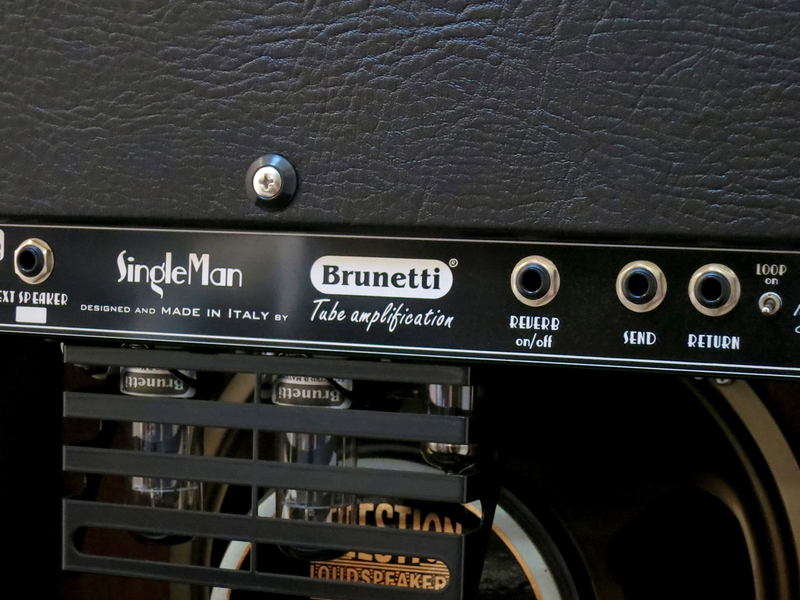 The two most important differences between a vintage Champ and Juketone’s True Blood combo lie in the speaker-type and rectifier valve choices. 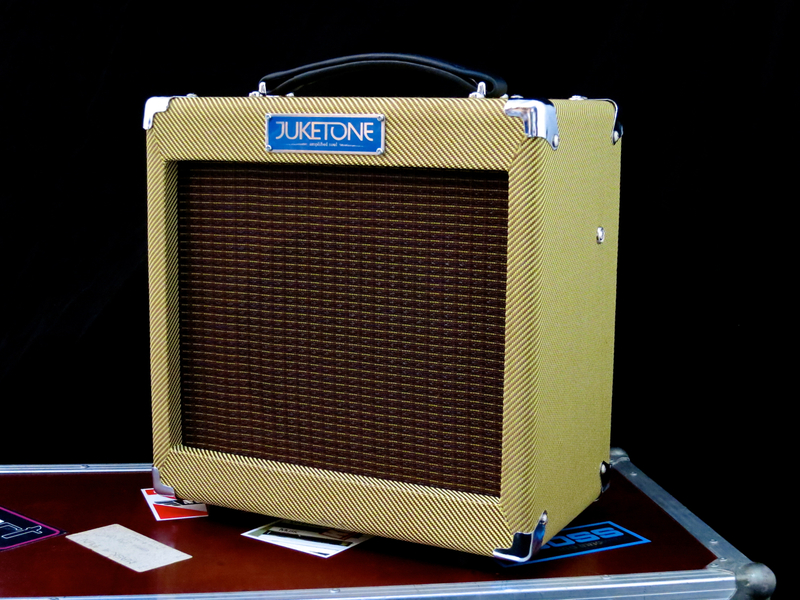 In addition to the two audio signal valves – a Ruby Tubes 12AX7 and a 6V6GT – Juketone has chosen a slightly less-known 6Z4 rectifier tube. The 6Z4 used in Juketone amps is a Chinese version (aka the Sino 6Z4) that is not compatible with the American rectifier valve of the same name. Jensen has traditionally been the speaker brand of choice for vintage tweed amps, but their bass response very often sounds a bit flabby by modern standards. In my opinion, Juketone has made a very good decision in choosing a more British-voiced speaker for their True Blood combo. 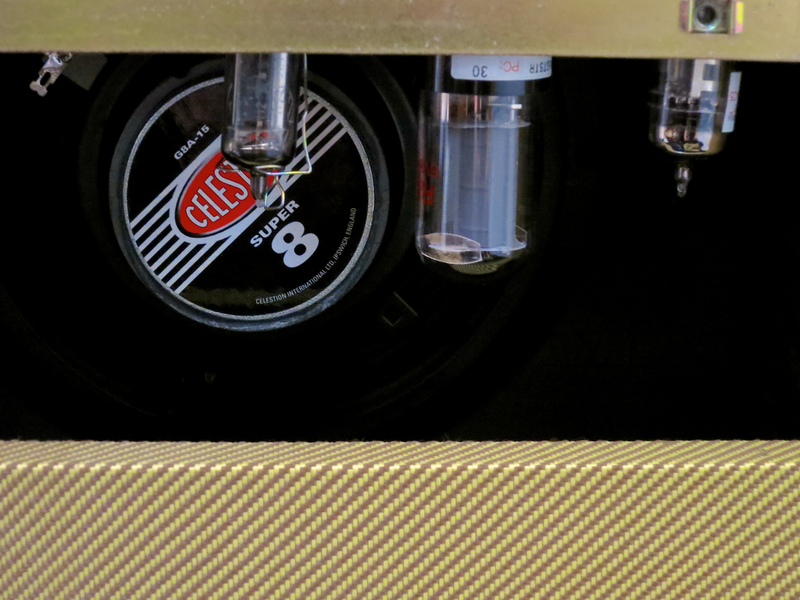 The eight-inch Celestion Super 8 could be described as an alnico-driven version of their popular Eight 15. 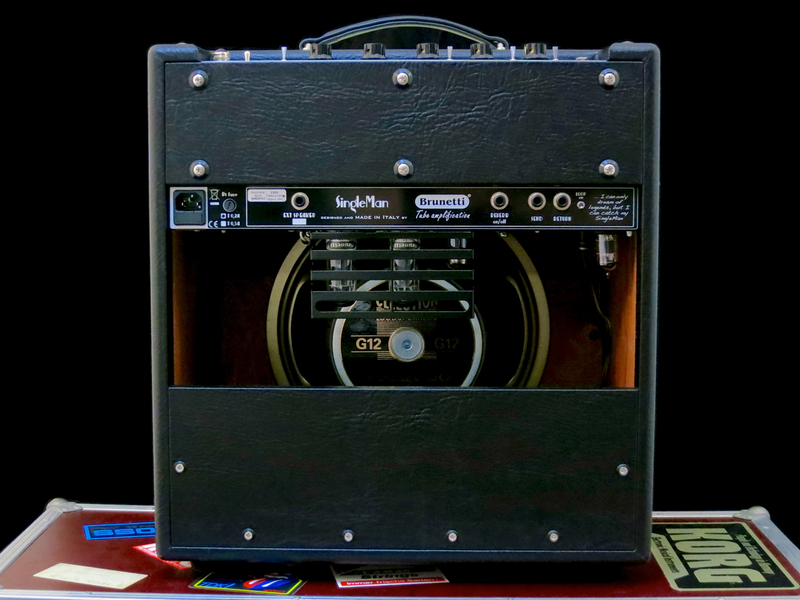 Inside the metal amp chassis you will be greeted by high quality components and clean workmanship. This is genuine hand-soldering using soldering lugs riveted to a fibreglass board. 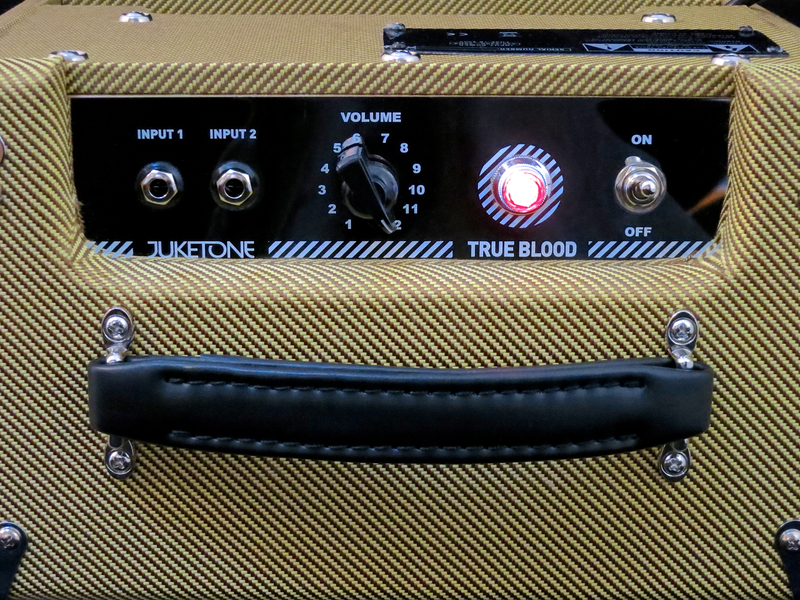 You’d be foolish to expect the wiring to be on the same, insanely high level – in terms of its neatness – as generally seen on boutique-grade amps, but the True Blood is definitely in line with Juketone’s ”affordable boutique” ethos. Maybe the most important part in the charm of a 5F1-type Champ (or Champ clone) is the directness of this small combo’s approach to tonal nirvana. There’s no master volume, no tone control, no effects – just a single volume control, and the straightest signal path from input jack to speaker known to mankind. 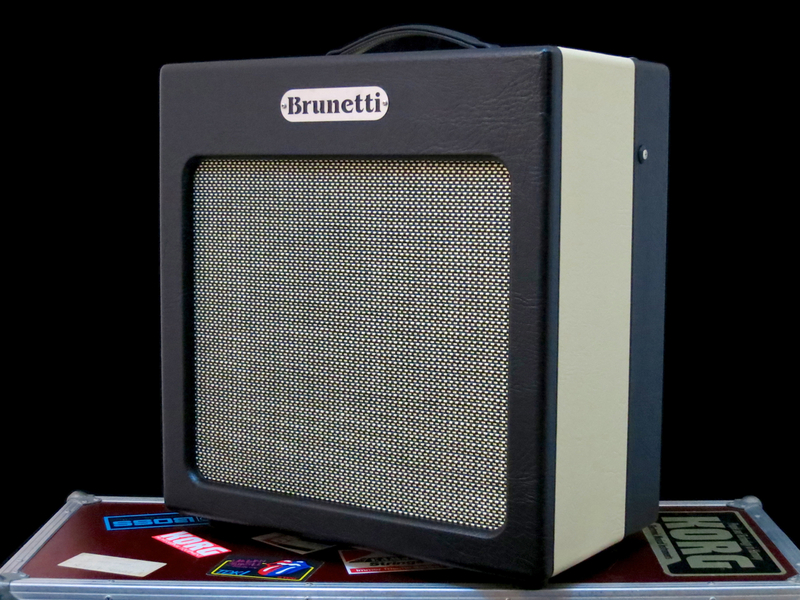 To some, this type of diminutive Fifties practice amp looks like it’s hopelessly ancient, but the Tweed Champ still has a lot of fans. 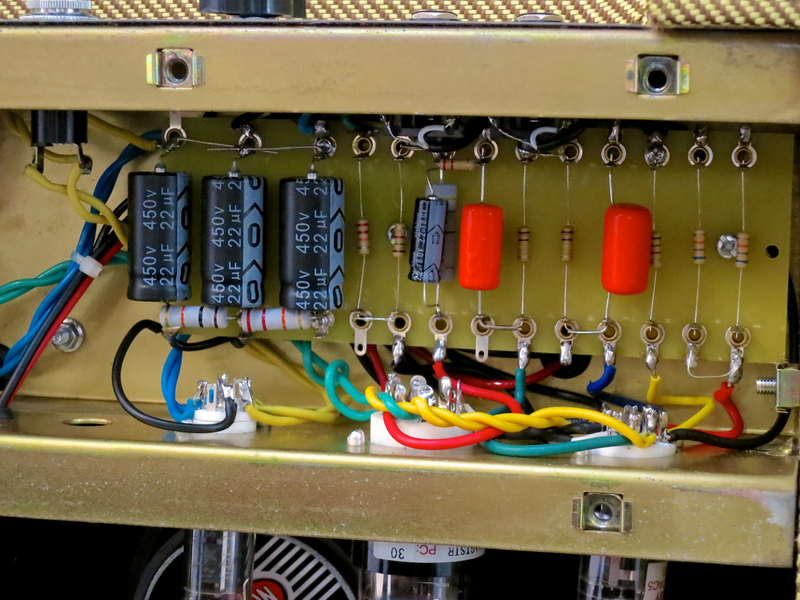 If you need more clean headroom from your True Blood (Blues harpists, listen up) than what the factory 12AX7 has to offer, you could easily drop in one of a number of ”cooler” 12A_7-family replacements, such as a 12AU7 or a 12AT7. 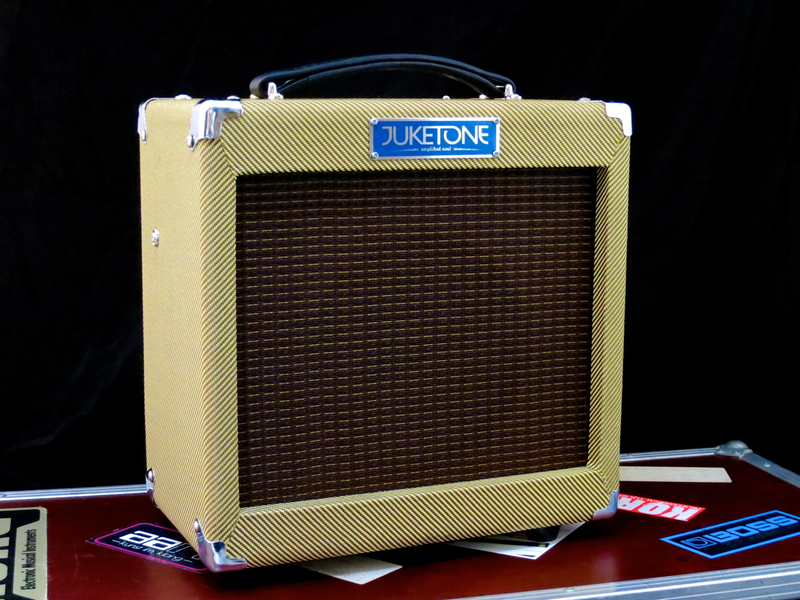 I can only recommend Juketone’s True Blood warmly for use as a living room and recording amp. Laying your hands on a hand-wired tweed-style combo has never been so easy or affordable. 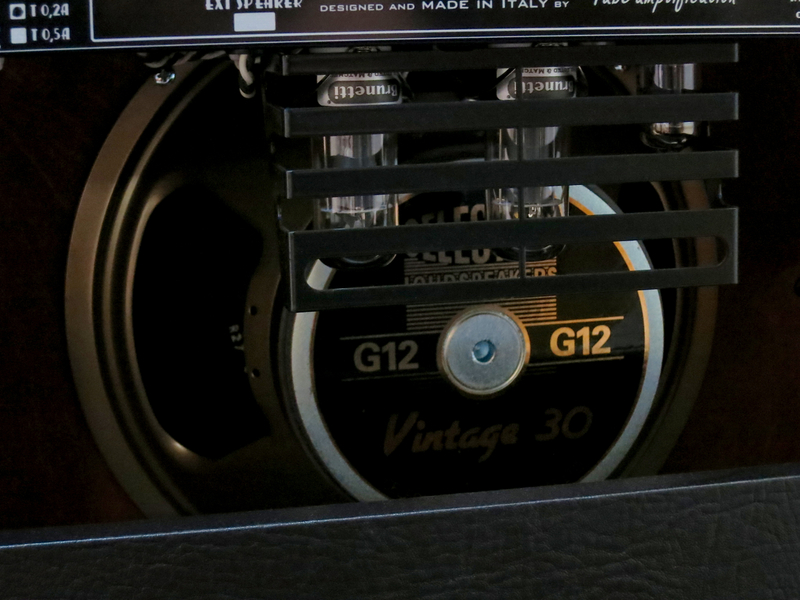 The warm, big bass response of the Celestion speaker is a definite improvement, at least in my book! This Juketone combo is a serious alternative to your run-of-the-mill mass-produced practice. It sounds pure and sweet. A hand-soldered combo, such as this, is also far easier to repair (or modify) than a PCB-based design. 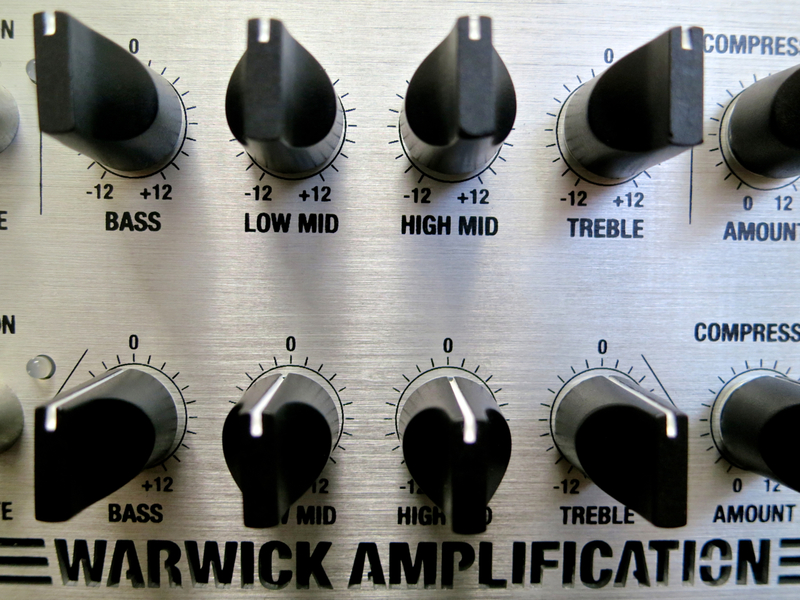 German maker Warwick is offering a wide range of different bass amplifiers alongside their famous basses. 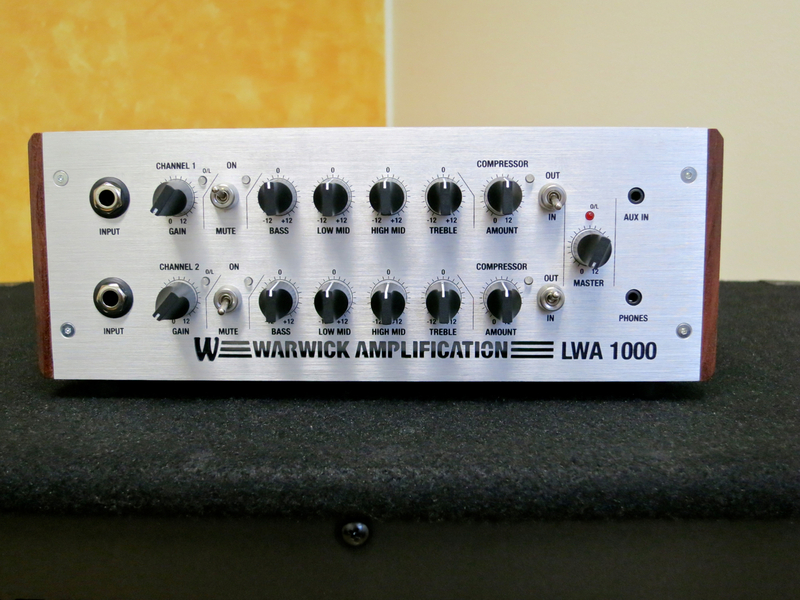 One of their newest products is the Warwick LWA 1000 – an ultra-compact, yet very powerful amp head. The Warwick LWA 1000 (current price in Finland: 789 €) is small and lightweight enough (2.75 kg) to fit into many gig bags. Optionally, you can also get a rack installation kit or a padded shoulder bag for this head. 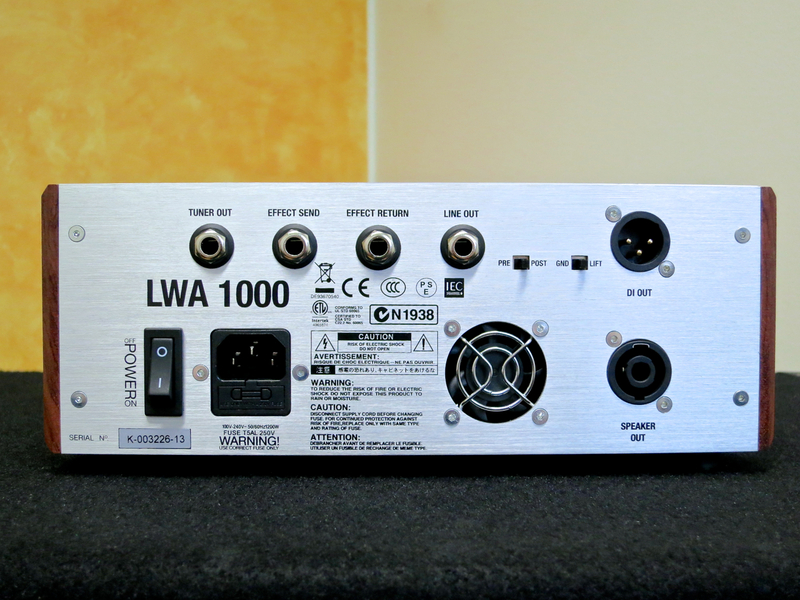 As hinted at by its name, the LWA 1000 offers you up to 1,000 Watts of power (into a 4 Ohm cabinet, 500 W into 8 Ohms). Warwick have managed to squeeze this all into a compact package by using a Class D power amplifier. 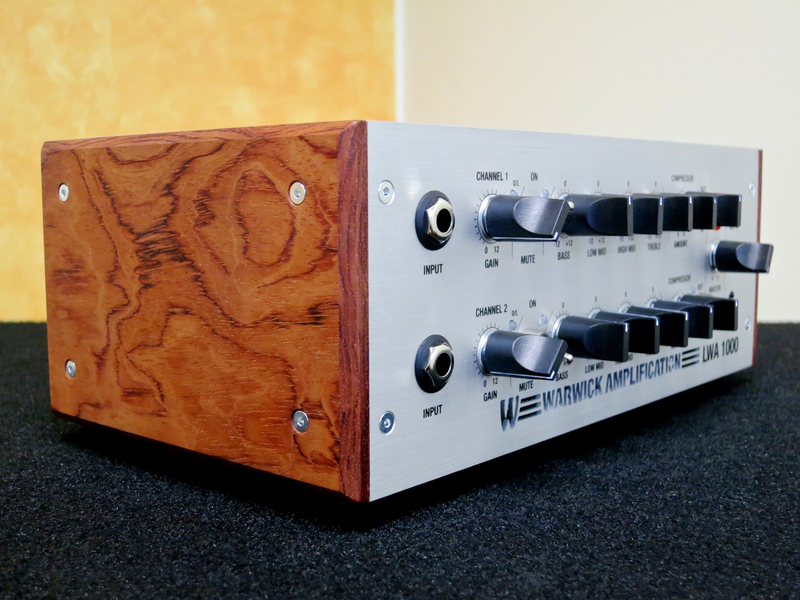 Warwick’s two-channel preamp has been transplanted from their Hellborg-series, and promises to offer audiophile sound quality from its low-noise Class A circuits. 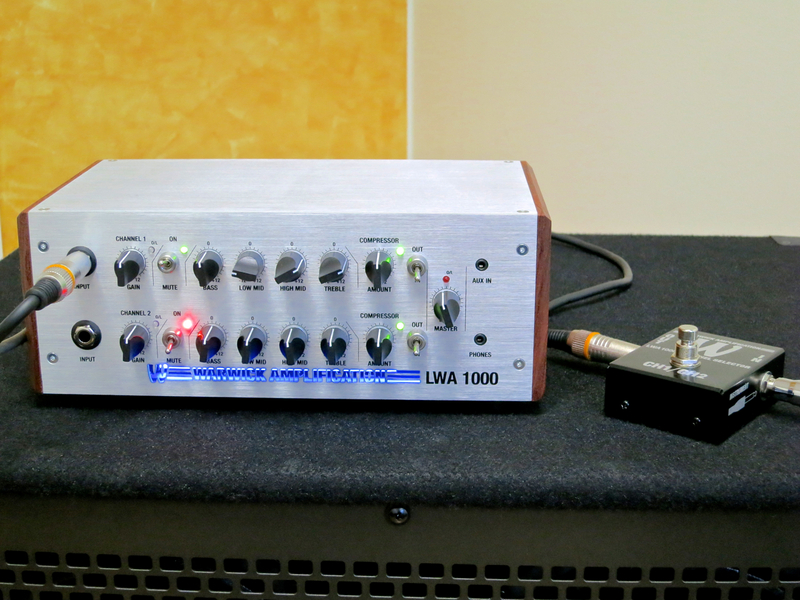 The two channels of the LWA 1000 are identical, and they can either be used to amplify two different instruments (each plugged into their own input) or to offer two different sounds for use with a single bass (a footswitch comes included with the amp). There’s a four-band EQ section in each channel, offering up to 12 dBs of cut/boost per band. 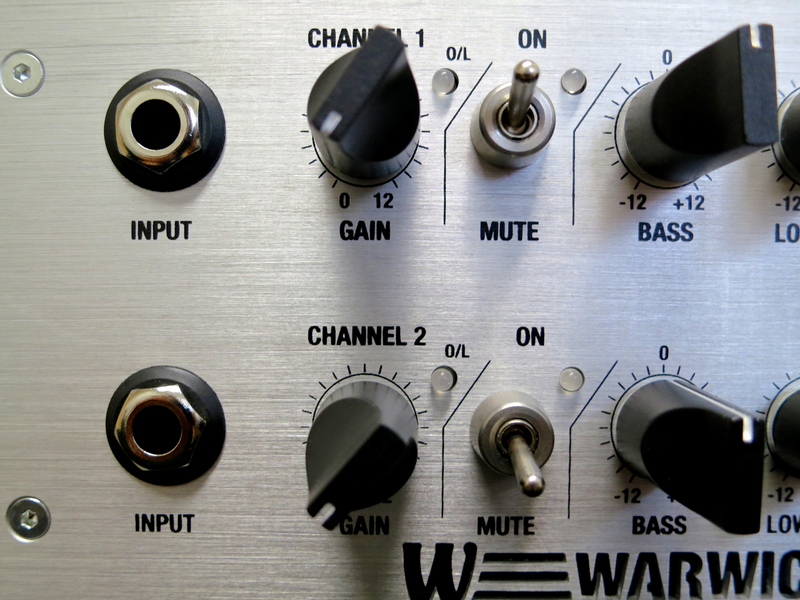 The last link in the preamps’ signal chain is Warwick’s easy-to-use compressor. The master section offers an auxiliary input to feed your mp3-player into, as well as a headphones output for silent practice. The stylishly understated look of the Warwick LWA 1000 calls to mind high-end HiFi-equipment. 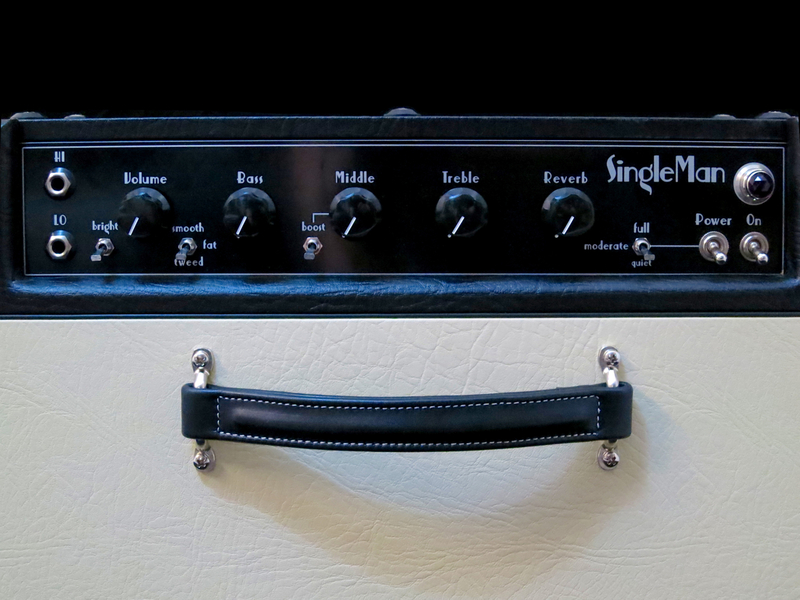 You can get the amp head in two finishes – brushed aluminium and matte black. Of the four jacks on the back panel one is the tuner output, two are used for the effects loop, and the last one is an unbalanced, line level output. This Warwick head also sports a built-in DI-box with its dedicated Pre/Post-switch, as well as a ground lift switch for safe earth loop breaking. 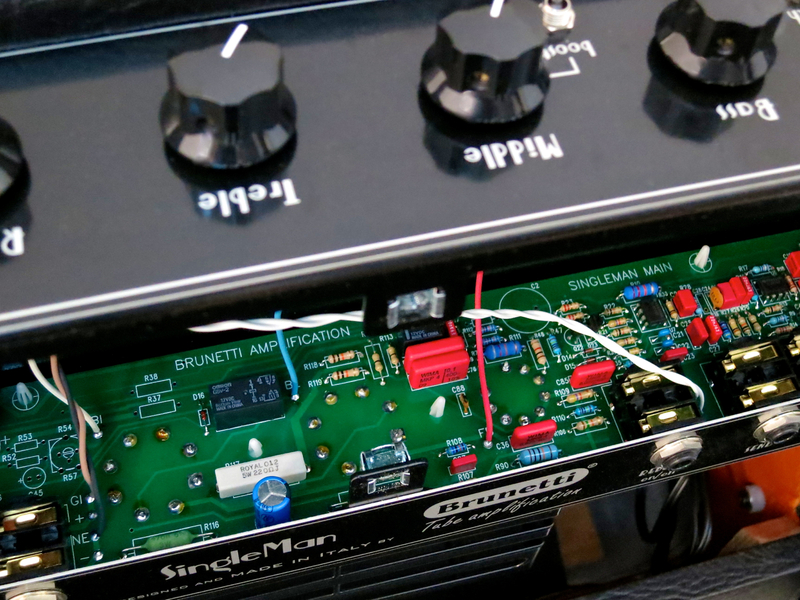 In addition to the amp head itself (and its power cord), the package includes a footswitch and a long, pro-quality TRS-lead (aka a stereo cable). 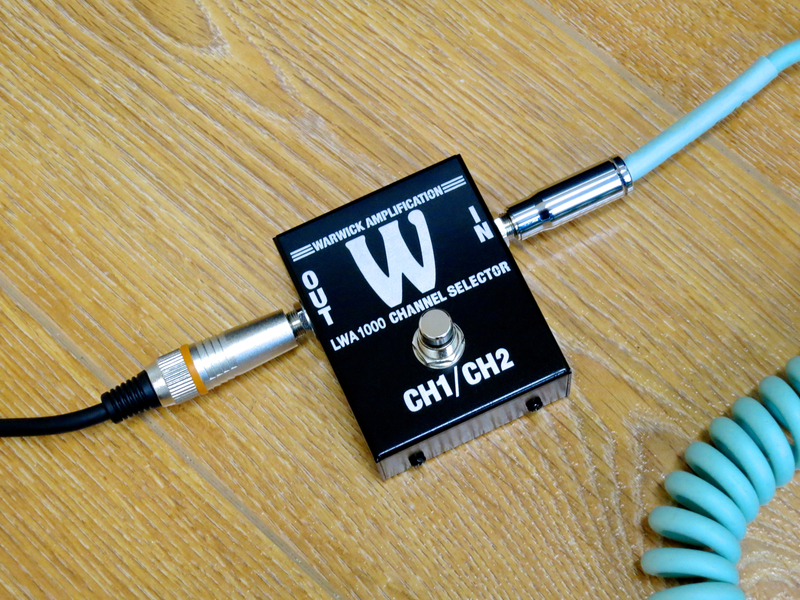 You use your regular instrument lead to connect your bass to the footswitch, and the TRS-cable goes between the footswitch and either one of the LWA 1000’s channel inputs. The TRS tip carries the bass signal, while the ring connection is used to switch between amp channels. I tested the Warwick LWA 1000 through a Warwick WCA 410 cabinet. 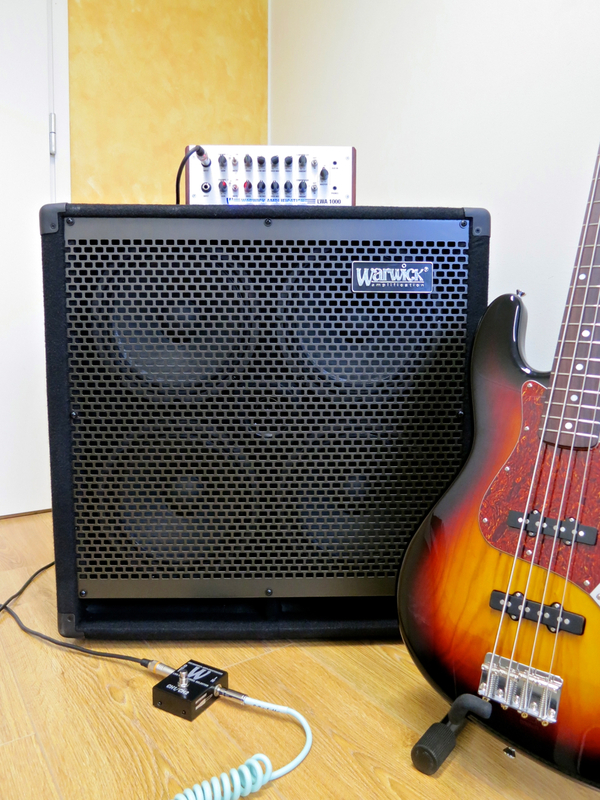 The pro-quality WCA 410 (current price in Finland: 380 €) is a chunky bass-reflex cabinet, equipped with four ten-inch speakers and a four-inch treble horn. 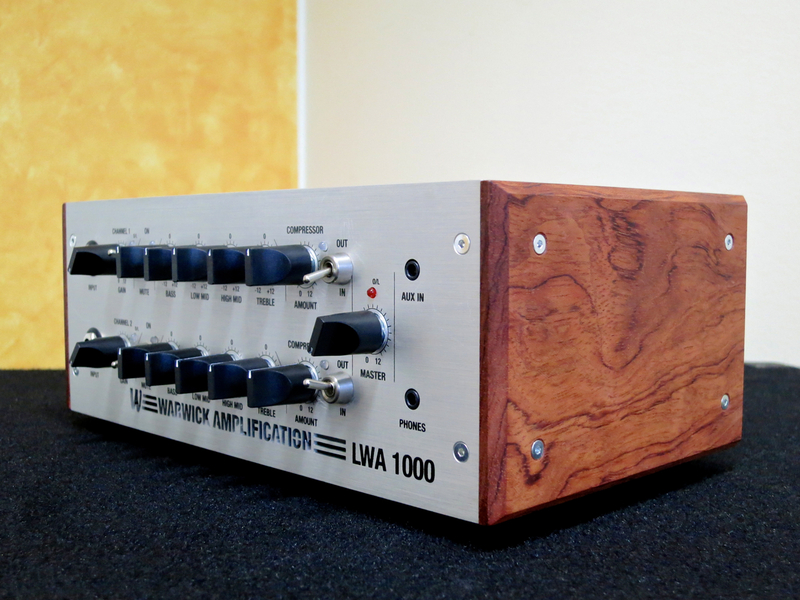 Warwick’s LWA 1000 offers truckloads of ultra-clean, quality bass tone in a very compact format. 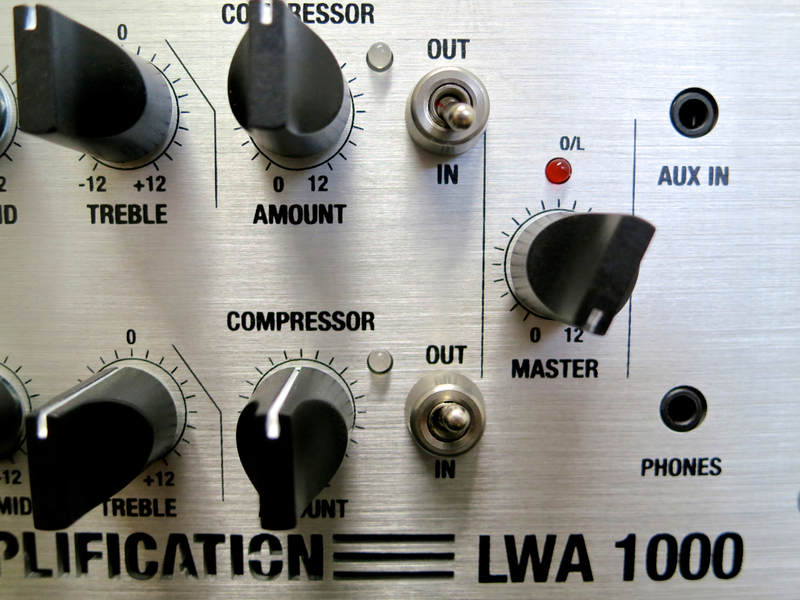 In contrast to many other bass amplifiers the LWA adds only very little unwanted colouration to your instrument’s tone. Some bassists rely on certain sonic artifacts from their amp for their own signature sound (like tube saturation or distortion, or a non-linear frequency curve), and this is as valid an approach as others (rock on, guys!). Others – myself included – get their kicks from just the type of clean and linear amplification the Warwick LWA 1000 head provides. The channel EQs work like a dream and the built-in compressors are musical and intuitive to use. In the studio you will appreciate this head’s processor controlled ventilator, which works very quietly, and only springs into action when needed. 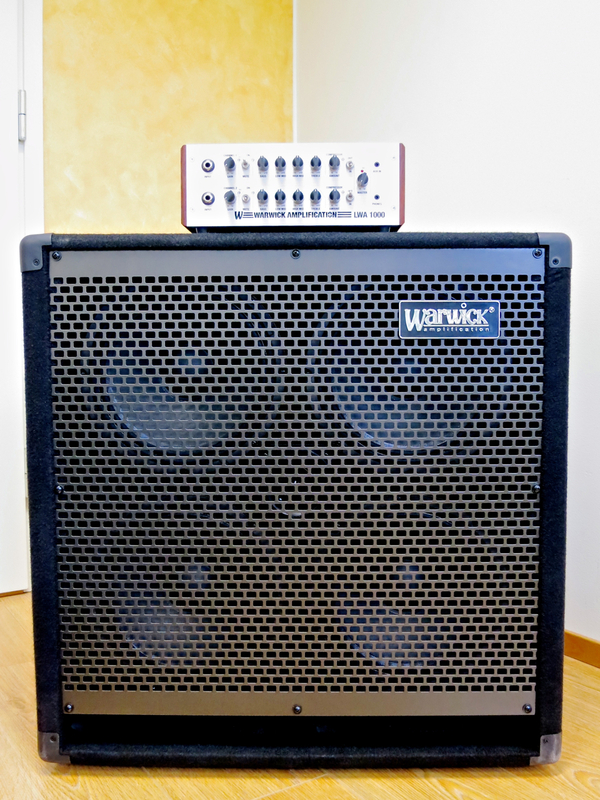 Warwick’s LWA 1000 is just my kind of bass amplifier. 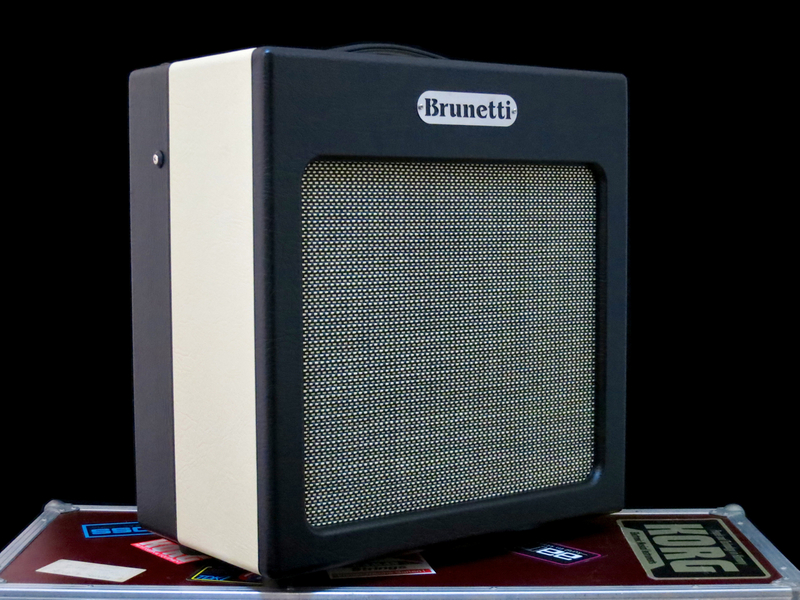 The sound is very clear and dynamic, and there’s enough power on tap to shut up your guitarist.